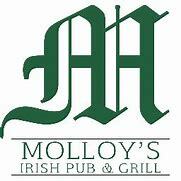 We are so grateful to Molloy’s Irish Pub and Grill for sponsoring Movie Night. Without the help of our community these events would not be possible. Thanks you for supporting OUR STUDENTS, OUR SCHOOL, AND OUR COMMUNITY.